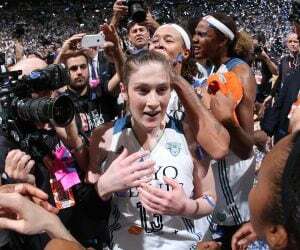 Friday’s practice was a truly special one for the Lynx. 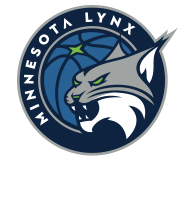 On Friday morning the Lynx signed five new honorary members to their roster. Each were paired with a player to serve as a mentor for Friday’s practice and throughout the season. 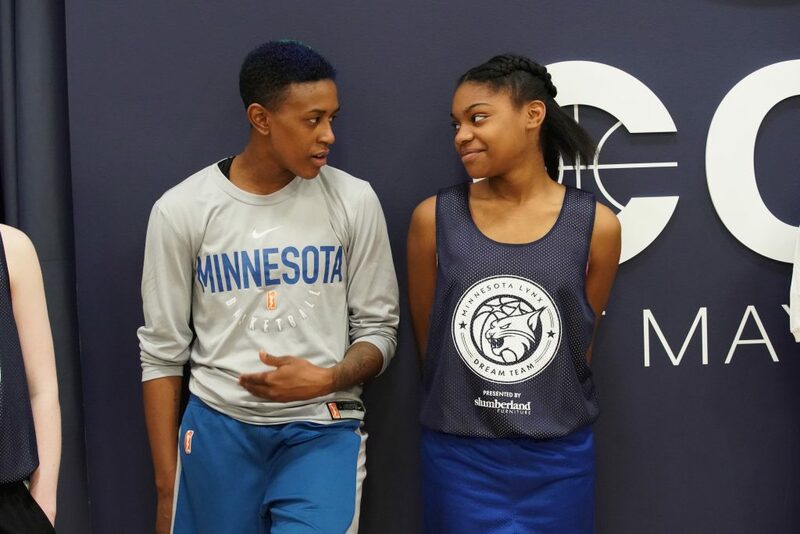 The signings are a part of the the Minnesota Lynx FastBreak Foundation’s Dream Team Player for a Day, a partnership with local nonprofits who nominate youth to participate in the program. 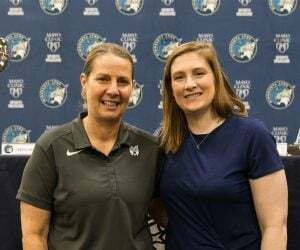 The honorary signees signed a one-day contract, participated in a press conference, and attended Lynx practice with player mentors. The 2018 Dream Team is composed of Maisy Martindale, Mia Houston, Millie Muller, Teagin Schmitz, and Tim Watkins. 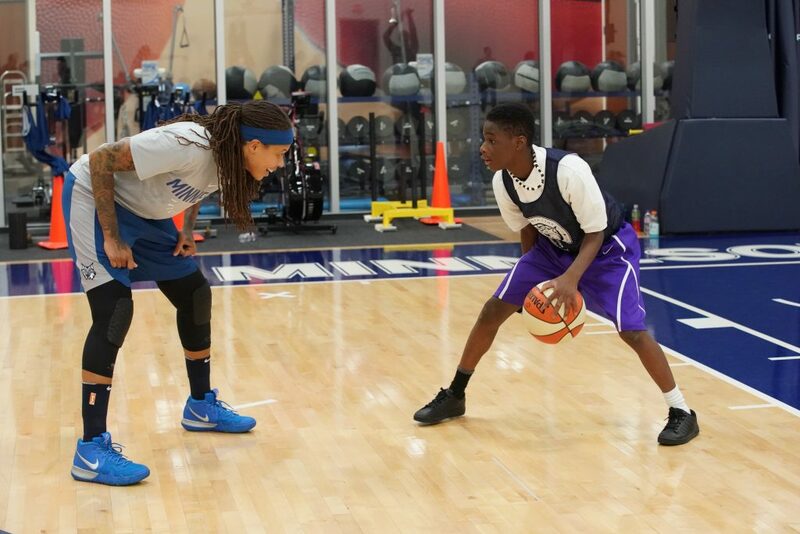 Youth were paired with Lindsay Whalen, Sylvia Fowles, Seimone Augustus, Danielle Robinson, and Rebekkah Brunson. The five participating youth were nominated by HopeKids, ACES, United Heroes League, and Tubman. The Lynx enthusiastically embraced their new members. Augustus agreed. Taking a few minutes away from a competitive game of HORSE with Tim, she spoke to the experience of being able to spend time with these amazing youth. Augustus and Tim seemed to be getting along well—developing a friendly rivalry on the court and a great bond off of it. What does Tim think of Augustus’ shooting skills? “For me to be a leader and make sure they stay out of trouble,” he said. For all the new Lynx signees, the day was a special experience. Brunson felt the same way. 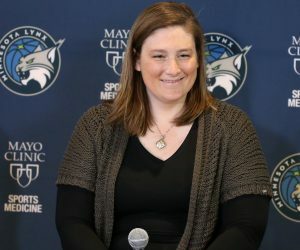 Both Teagin and Mia spoke about how the Lynx need to keep working hard and stay positive during their pursuit of another title. “Try their best. They’re a pretty good team, they’ve got a shot at it,” said Teagin, on what advice she would give the team. “I think positivity is good because if you show negative attitude it doesn’t help the team,” Mia added. For her part, Maisy might be more focused on the competition she faces in her own backyard. The youngest of eight brothers and two sisters, she said she isn’t quite able to beat them on the court yet, but as Reeve suggested, she’s feisty. The day will certainly come. The Dream Team event was a huge success, and everyone came away feeling great about the new friendships they had formed, and the power of basketball to bring people together. Margaret Eggenberger a brand manager with Slumberland, a partner with the Lynx for the event, was thrilled with how everything went. 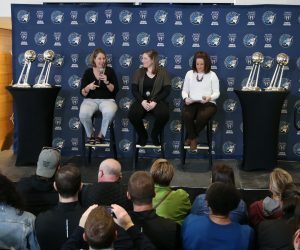 The way the Lynx step up in events like this says a lot about the culture they’ve built—the same culture that has helped them win four championships in the last seven years. 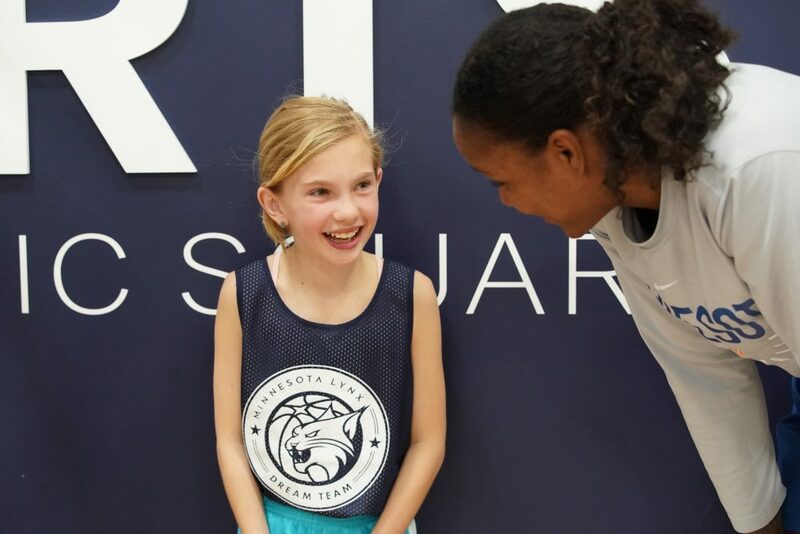 The Lynx players genuinely love cultivating relationships with the community, and you can see it on the faces of their newly signed young players, as well as the ones who have been around longer: this is a day they won’t soon forget.